3D-Lipo is a revolutionary, non-surgical liposuction treatment that delivers targeted fat reduction, body contouring and skin tightening. 3D-Lipo is probably one of the most advanced treatments of its type in the fight against targeted fat reduction, cellulite and skin tightening. Its 3-dimensional approach to the problem ensures that you will experience one of the most effective services of its kind available today. 3D Ultimateis the brand new ‘medi’ version of the popular 3D Lipo treatments, offering a new and improved update of this powerful technology. 3D Ultimate is a powerful and revolutionary new approach to liposuction which does not involve surgery. 3D Ultimate reduces body fat by destroying fat cells instead of merely breaking them up and releasing them into the body. Do you want to get rid of stubborn pockets of fat? Do you want to lose inches or tighten skin? If so, consider 3D Ultimate treatments. 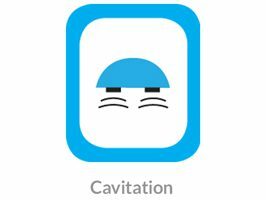 Cavitation uses an ultrasound wave to mechanically disrupt the cell membrane of the fat cell. The ultrasound wave creates a vibration within the fat layer, the fat cells do not have the structural capacity to with stand this vibration and the cell membrane will very quickly break down. The CAVITATION treatment has been designed to help average to overweight men and women. It offers an alternative to patients seeking effective reduction of localized fat deposits without surgery. An average of 1-2 cm reduction in circumference can be achieved after a single treatment of Cavitation. The process freezes the fat cells, the plates on the hand piece drop to a temperature around -5 degrees crystalizing the cells. This exposure causes the fat cells to die without any damage to the overlying skin. The body’s normal metabolic processes will gradually eliminate the fat cells from the treated area. Results take longer to be seen, but are effective as part of a course when combined with the Cavitation. 20-40% of fat cells can be lost in the treated area from one application. 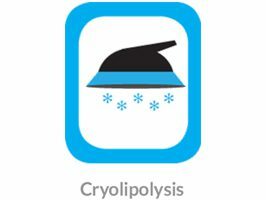 Cryolipolysis uses a chilled hand piece to create apoptosis within the fat in targeted areas. Cryo will treat ‘pockets of fat’ situated around the body. Ideal for sculpting the body shape. When fat cells are exposed to a precise cooling below body temperature, they undergo crystallisation, separation and localised cell death (apoptosis). This is followed by a local inflammatory response. Apoptosis– Is sometimes referred to as programmed cell death the process of apoptosis follows a controlled, predictable routine. 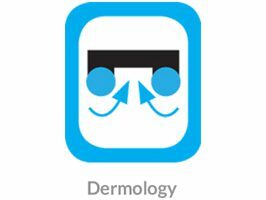 During Cryolipolysis the cell shrinks and sends out distress signals, which are answered by macrophages. The macrophages clean away the shrunken or damaged cells, leaving no trace. This stimulates a natural fat removal process that continues for several months after the procedure. Cryolipolysis will treat ‘pockets of fat’ situated around the body. Ideal for sculpting the body shape. Firstly a Cryo pad containing skin protecting fluid is applied to the treatment area. The Cryo hand piece is attached to the treatment area and delivers a gentle vacuum pressure. This draws the tissue between the cooling panels within the hand piece. The hand piece stays on the skin for 45 minutes. As soon as the session is over, the treatment area will feel cold to touch and slightly numb. The area can be red and swollen and localised numbness can be experienced for up to 2 months. The treated area can feel cold and firm for up to 2 weeks and occasionally bruising can occur and last for up to 10 days. The results of the Cryolipolysis procedure are usually visible two to four months after treatment, and will continue to improve for up to six months. Each individual responds differently. 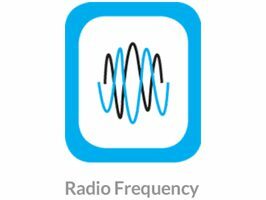 On average the immediate result of a RF treatment will typically last a few days from the first treatment. After every consecutive treatment this period increases until the 5th or 6th treatment when typically the longer term results start to set. After a course of treatments, Cellulite results typically last a few months if a regime of diet and exercises is followed. For longer term results the customer needs to return for maintenance treatments every 4-8 weeks. Skin tightening results typically last for a few months, the customer will need to return for maintenance treatments every 4-8 weeks. Cellulite reduction: Anyone with cellulite and is over 18 years of age. More treatment sessions are required for higher cellulite grades. Skin tightening: Older skin has a higher degree of sagging and wrinkling, but still has enough skin depth and collagen to generate a significant tightening effect. It also starts to lose critical collagen mass, therefore treatments are less effective and more treatments may be required. Younger skin has a higher collagen mass and is easier to stimulate, therefore less treatments may be required. Maintenance treatments are recommended in both cases. Lymphatic drainage increases blood circulation resulting in the smoothing of cellulite. 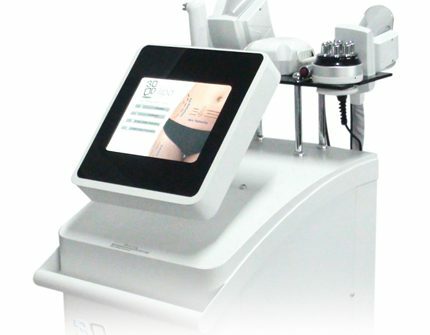 Beneficial after all 3D Lipo applications to improve the appearance of the skin and even out the appearance of cellulite.